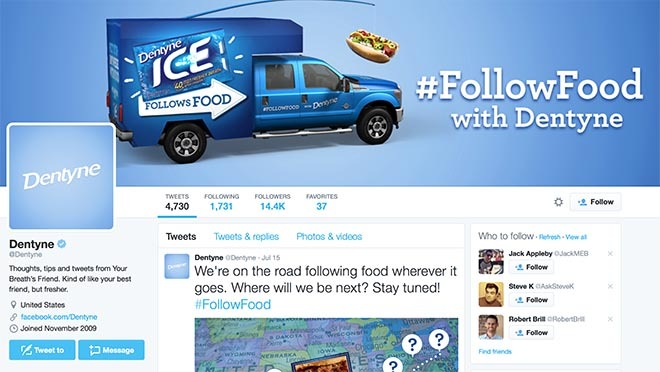 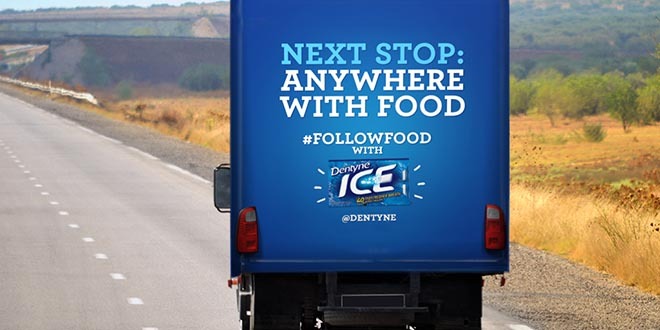 Dentyne gum and fresh breath is being promoted in the United States in a nationwide tour of the Dentyne Follow Food Truck. 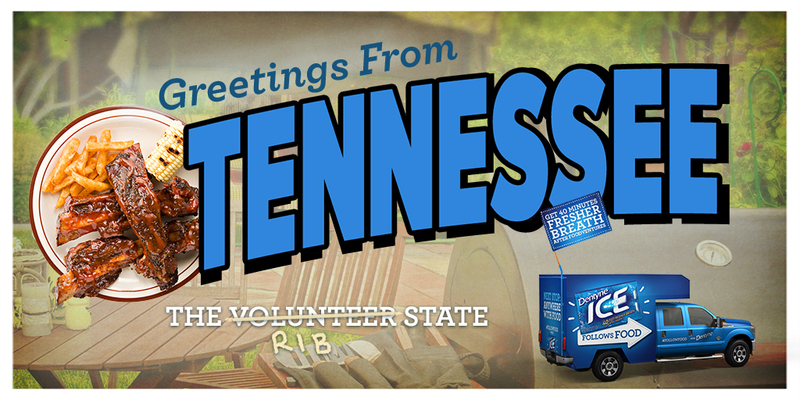 In a society seemingly saturated with food trucks, Dentyne’s fresh breath truck is both a cheerfully cheeky nod to foodie culture and a reminder that when great flavors come with bad breath repercussions, Dentyne has you covered. 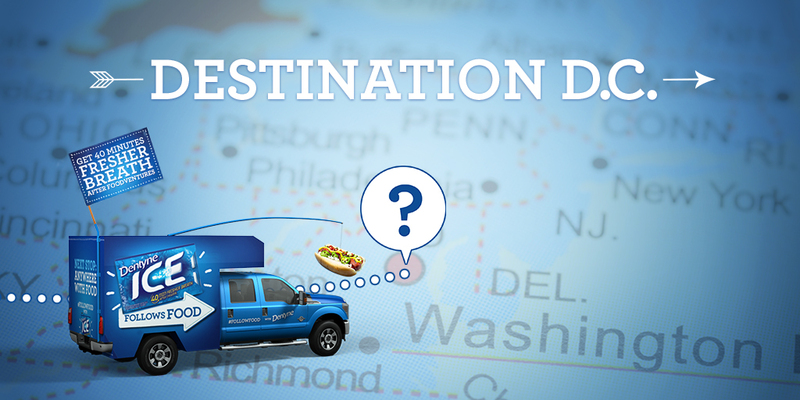 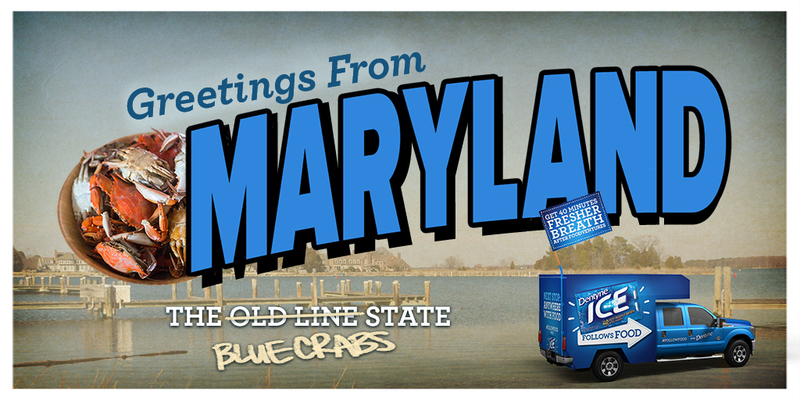 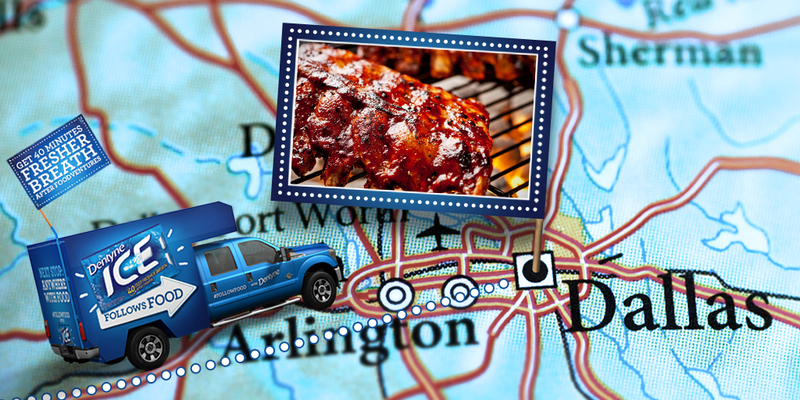 The Dentyne Follow Food Truck is travelling across America, emboldening food lovers to celebrate food, including at some of the country’s best food festivals, from Texas and Tennessee to Philly and DC. The truck has an overhang, and staffers set up tables and offer wet naps to festival goers while handing out gum samples. 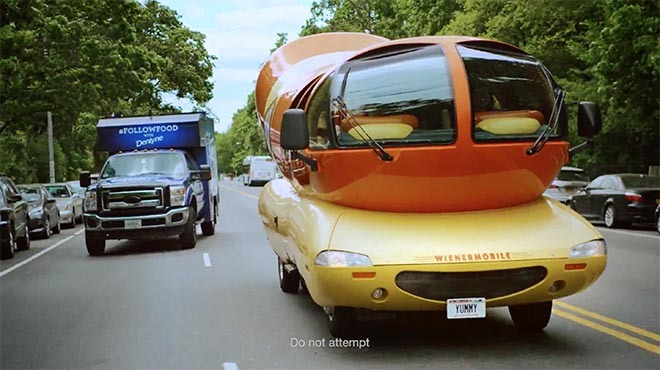 Helping to spread the word about the Dentyne Food Truck Tour are online videos featuring one of America’s most beloved icons, the Oscar Mayer Wienermobile, with guest appearances by a pizza truck, a Kimchi Taco Truck, and a hotdog vendor, with the Dentyne Follow Food Truck following right behind. 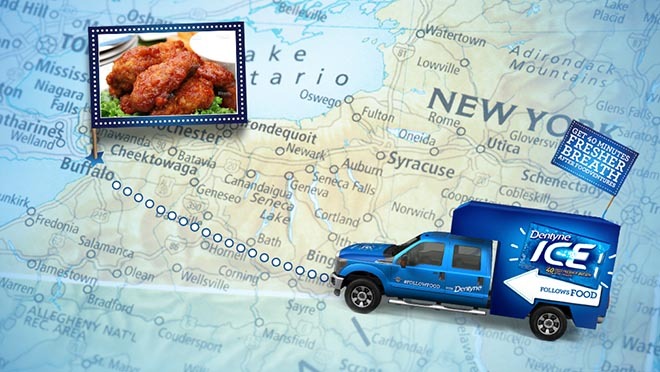 The Dentyne Truck Follows Food campaign was developed at McCann New York by chief creative officers Tom Murphy and Sean Bryan, creative director Dave Waraksa, junior copywriter Molly Wilkof and junior art director Alex Cherkasov, chief production officer Nathy Aviram, integrated producer Chandler Simms, group account directors Dina Hovanessian and Lauren LaValle, account executives Sarah Crossland and Rachel Heiss. Filming was shot by director Joey Garfield via Ghost Robot with producer Tom Davis, executive producers Mark De Pace and Zachary Mortensen, editors Colin Loughlin & Alex Markman & Jose Gerardi.